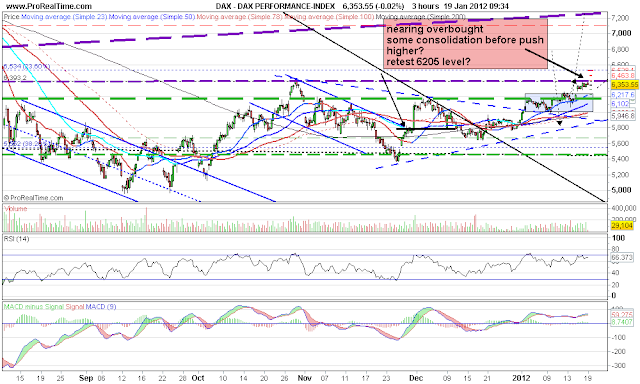 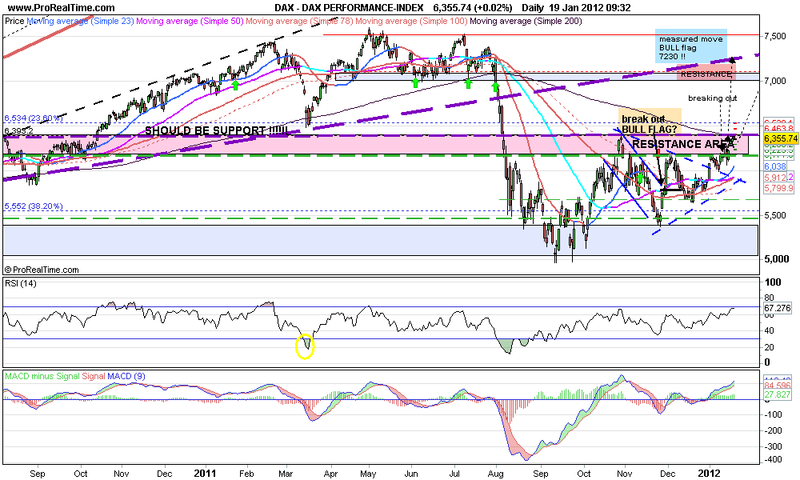 The DAX has broken through the 6170 resistance and headed to near 6400 quite quickly. 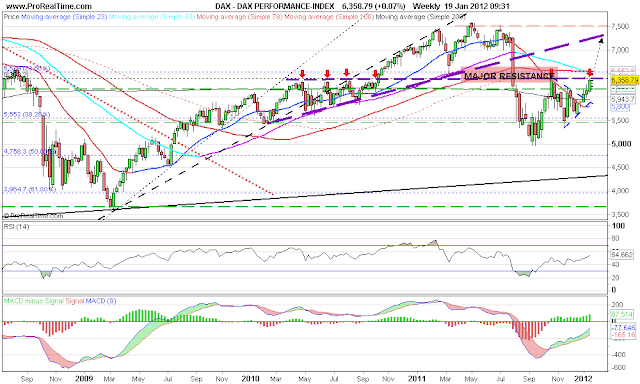 This level is the last Major resistance as can be seen in the Weekly chart below. Interesting is the measured move from the BULL FLAG is around 7230, which is also the underside of that trend line (purple dashed). 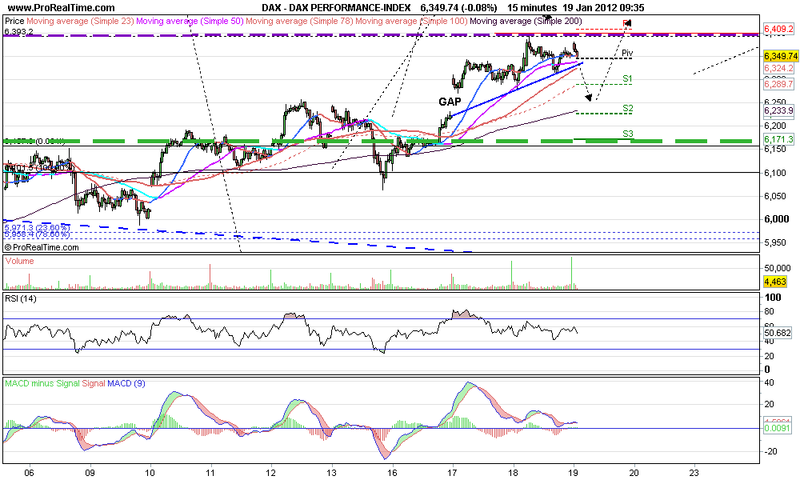 On the very short term 15 min chart it shows the gap between 6230 and 6280. The DAX has a propensity to fill gaps fairly quickly.